The Aussiespeed brand of street and racing products & speed equipment was started in Adelaide South Australia in the year 2000. 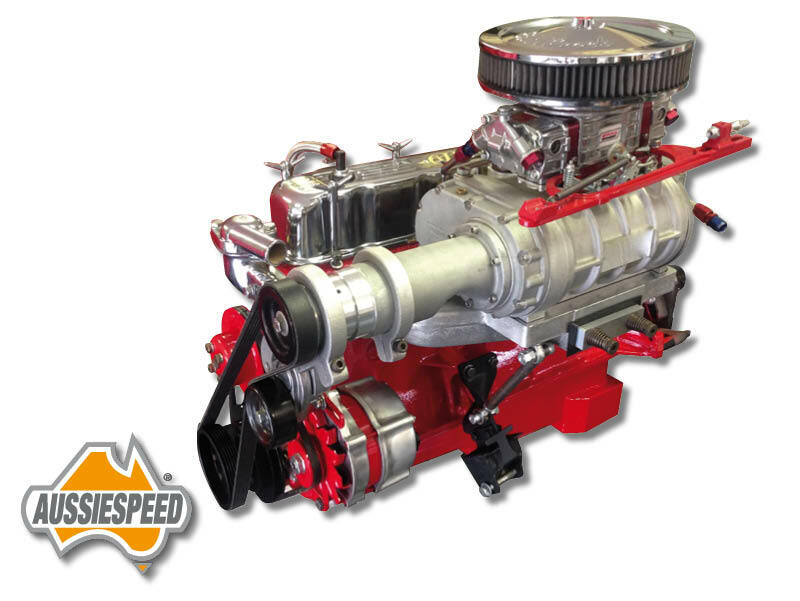 From 1 product the Aussiespeed range has grown to over 500 products.The range of Aussiespeed Performance Products include Aussiespeed Manifolds, Aussiespeed Tunnel Rams, Aussiespeed Valve Covers and Sideplates, Aussiespeed tubular and cast iron exhaust headers and components, Aussiespeed Old School Finned Engine Dressup range that includes a range of Street Rod, Muscle Car and Hotrod parts.The Aussiespeed Small Engine Performance Products range has grown so much that the small engine division now has its own website and online store. 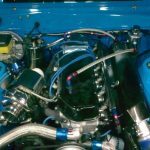 The Aussiespeed range of manifolds & Performance Products are used on street cars, drag cars, muscle cars & hot rods worldwide and most of these products are still made in Adelaide South Australia . 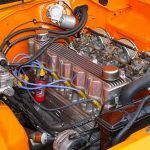 Aussiespeed Supercharger kits are now , our range of kits and components will allow you to supercharge a wide range of engines. 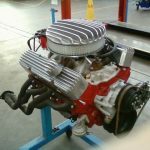 Aussiespeed produce speed equipment and performance parts for many older cars and engines like Holden 6 cylinder grey motor, red motor, blue motor and black motor, Chrysler Hemi 215, 245 and 265 engines, Slant 6 Chrysler 170, 198 and 225 Australian and USA powered street, classic and race cars, Ford 6 cylinder integrated inline 144, 170, 200, 221 and 250 engines and the Australian manufactured 250 2V engine and USA manufactured big six 240 and 300 cubic inch inline sixes. 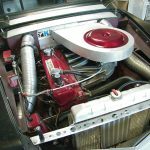 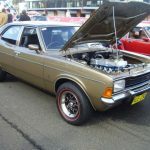 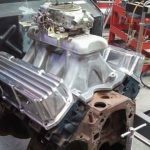 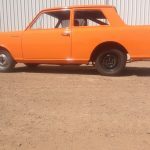 Other Aussiespeed Performance Products for the 6 cylinder Ford engine is the range for alloy and cast iron head Falcon and Cortina crossflow 200 and 250 motors Ford 3.9 and 4.0L OHC Falcon sixes and the DOHC Ford 6 cylinder engine. Aussiespeed have a range for the Chevrolet inline 6 cylinder engine and V6 Chevy 4.3 litre engine. 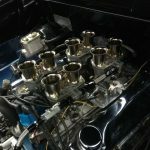 The Aussiespeed range doesn’t stop with inline 6 cylinders with valve covers to suit early and late Holden V8 engines, Ford V8 Cleveland and Windsor, American Hemi V8 and LA 318, 340 and 360 engines there are valve cover spacers, tunnel rams, supercharger manifolds, timing covers a range of carburetor spacers and adapters as well as the Aussiespeed marine small engine supercharger range and Aussiespeed Stripmaster Manifolds and lots more. 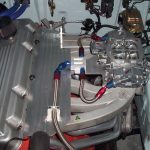 At Aussiespeed we do our best to support other Australian and local businesses and material suppliers to give our customers, racers and enthusiasts the best possible products and horsepower combinations for most engines from single cylinder 4 stroke go kart mini bike and commercial engines, 4 cylinder inline 6 cylinder and v6 engines right through to the largest American or Australian V8 engines. 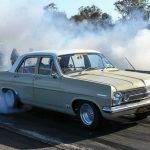 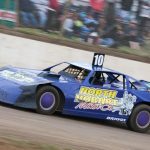 Through our involvement with customers with modified cars, hotrods and many types of motor racing Aussiespeed has been able to develop a range of street and racing products for all levels of performance. 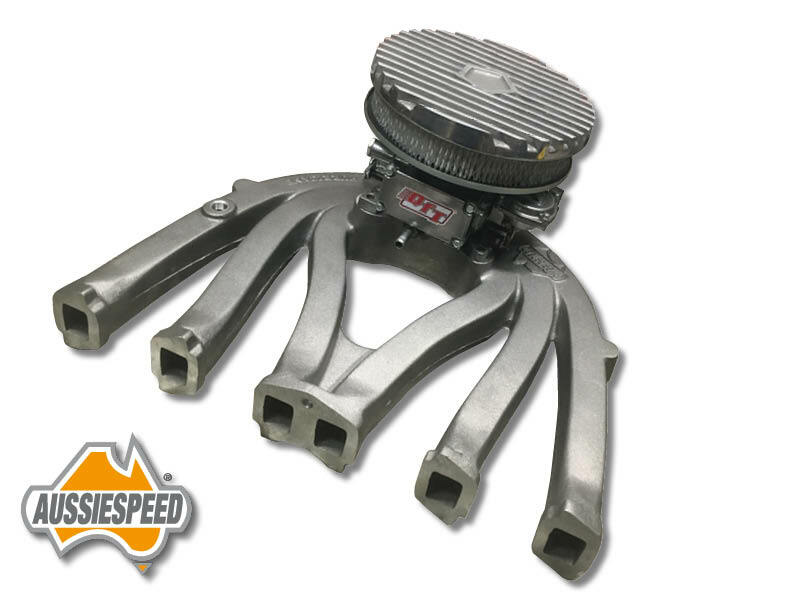 The Aussiespeed product range is continually growing as we expand into new areas and products made here in Australia and exported to the world. 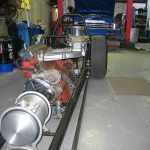 Aussiespeed has been involved with the engine build of a replica build of the Harry White drag car Dirty Harry. 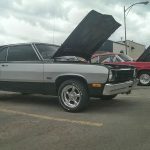 We would like to thank the cars owner/ builder All Car Restorations and driver Wayne Stevens. 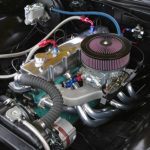 Click Here to Check Our Supercharging Website for a comprehensive range of components and kits.